The Trophy Homes mansion at 2446 Belmont Road NW in Kalorama is a truly spectacular example of Timeless Classics. This circa 1920 Tudor residence on an oversized home site was the subject of meticulous renovation and substantial expansion in 2011. So when it came on the market in early 2012, who could know it would languish for months on end? In a $5,295,000 sale, the drama was over and the Kalorama love story began. 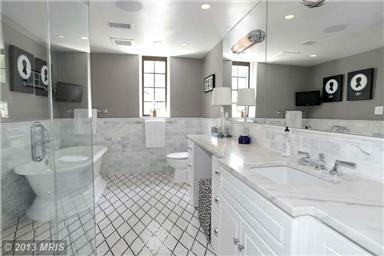 2446 Belmont Road NW features gracious public rooms, nine bedrooms and eight full baths. There’s a fully finished lower level with au­pair suite. Outside, a stunning oversized terrace and formal gardens abut a gated courtyard for 8 to 10 vehicles. 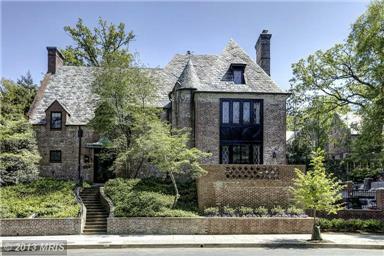 Currently, there are several other significant Trophy Homes on the market in Kalorama. Feel free to browse the inventory. With a feel that suggests New York’s Upper West Side, Kalorama is a DC treasure. Kalorama residents enjoy international cuisine at neighborhood establishments such as The Russia House, Teaism, Veritas Wine Bar, Red Tomato, Bistrot du Coin and Nora’s restaurant (said to be America’s first certified organic restaurant). The neighborhood connects to the rest of the city via the Woodley Park Metro station located across Taft Bridge and the Dupont Circle Metro station down Connecticut Avenue. To see other Trophy Homes in Kalorama, or amazing properties throughout the Capital Region, please meet with me, Jeff Wilson, and the Trophy Homes Team. Discover the value and peace of mind that comes from unmatched representation and highly personalized service.